Fractals are the visual depictions of mathematical equations, the same equations, in fact, that describe natural phenomena such as coastlines, plant shapes and weather patterns. A computer program assigns a color to each point in the image based on the answers to a chosen equation, which then results in abstract fractal shapes. Dozens of variables are manipulated in order to create these fascinating images. 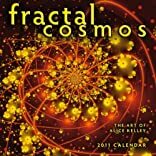 The Fractal Cosmos 2011 Wall Calendar features the organic designs of Alice Kelley, who says, Fractals are an intuitive glimpse into the infinite order that comprises the natural world, as well as being proof that math is beautiful. The interior pages of this calendar are printed on 100% recycled, 50% post-consumer paper, processed chlorine free and printed with soy based inks. About Alice Kelley (Author) : Alice Kelley is a published author. 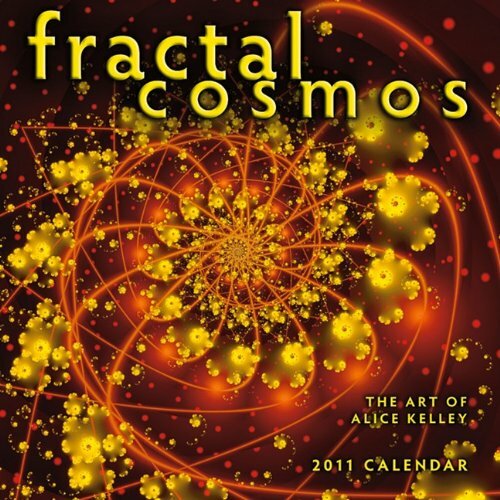 A published credit of Alice Kelley is Fractal Cosmos 2006 Wall Calendar.